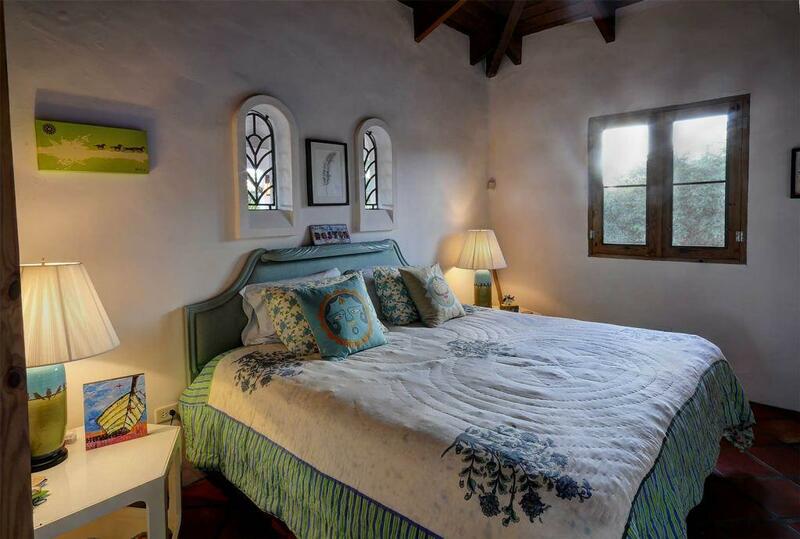 Gallery Galleon, located near the South Shore in the heart of coveted barrio La Hueca and very near Black Sand beach is being offered exclusively for sale. 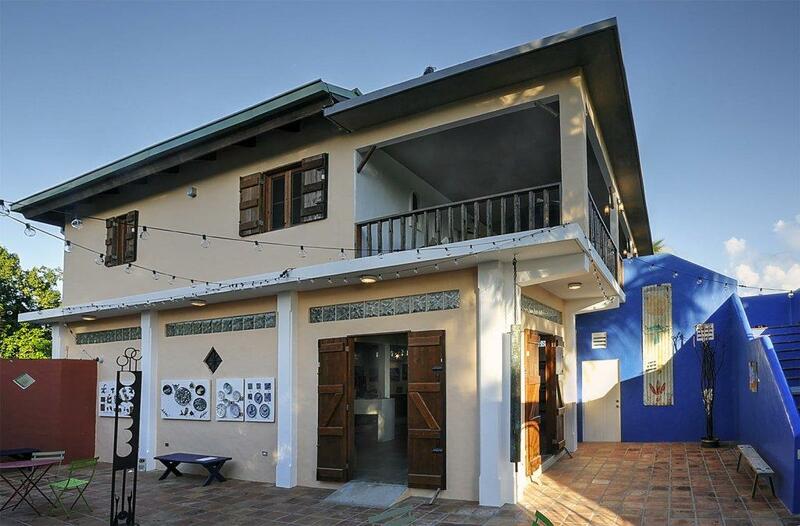 The property includes the whimsical Artpad home, art gallery, office and large working artist studio currently being used for gallery space. 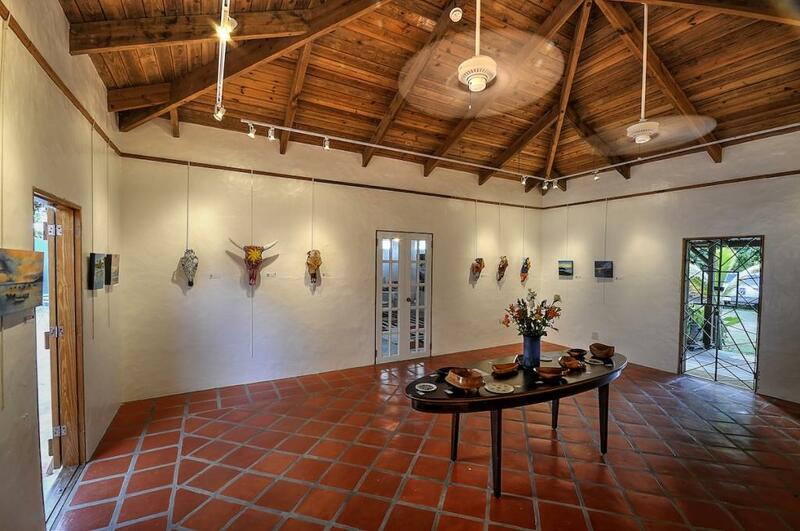 The Galleon originated as The Galleon Bar and later was transformed to Casa Vieja Art Gallery. 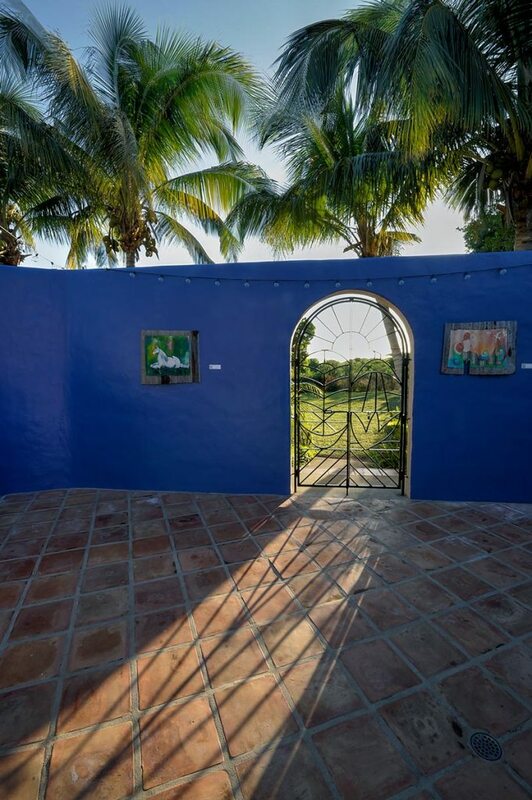 The current owner re-branded the property to be Gallery Galleon and it is now one of the most visited and successful galleries on Vieques Island with regular art openings during season and attended by many. 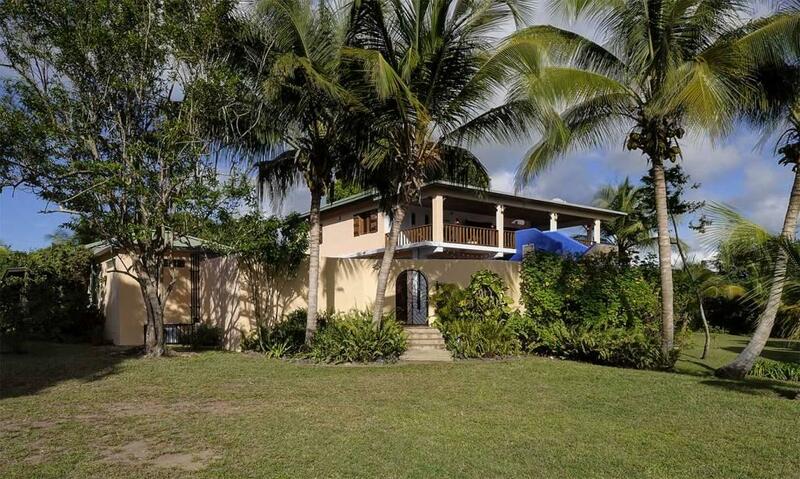 The property is zoned commercial and is fully permitted and titled with an acre of tropical fantasy landscape and ocean views from the ArtPad home on the second level. 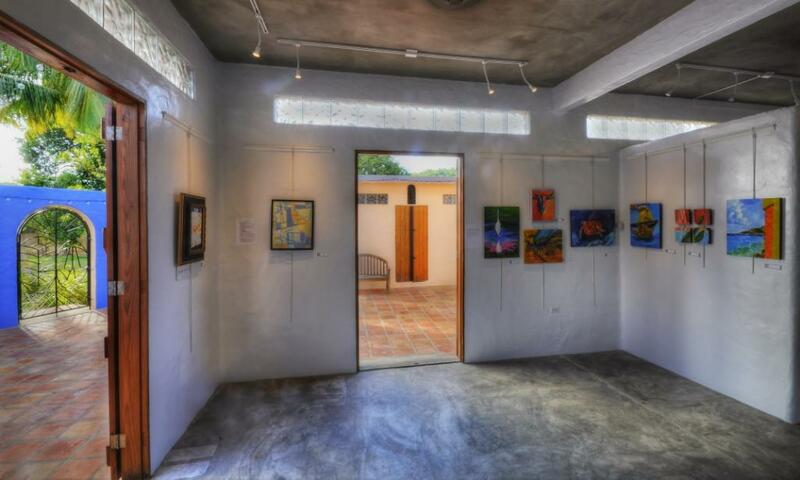 The commercial space could be used in many creative ways including a wonderful events location known as Gallery Gigs. 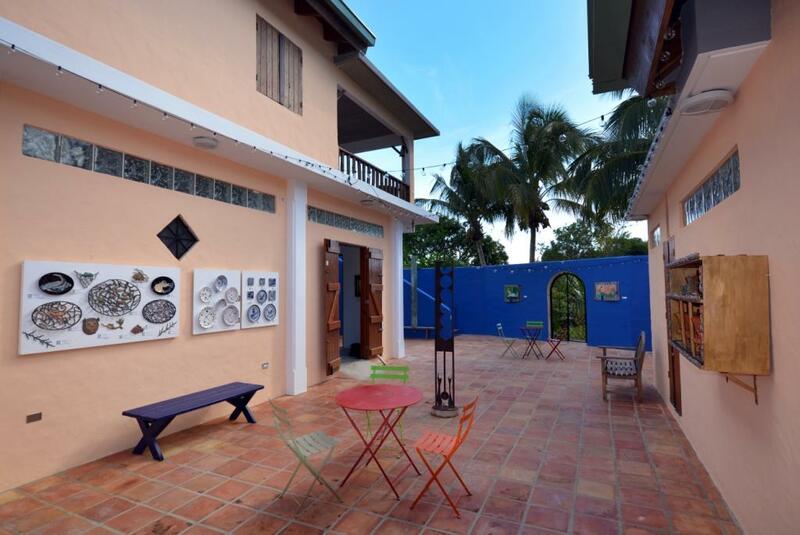 Gallery Galleon is romantically located in the country and not far from famous South side beaches including walking distance to Playa Negra (Black Sand Beach) and Playa Grande. 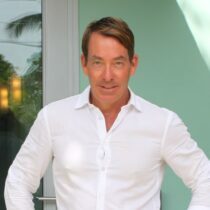 The Artpad is the owner’s personal residence and furnished by well known New York City designer Todd Gribben. 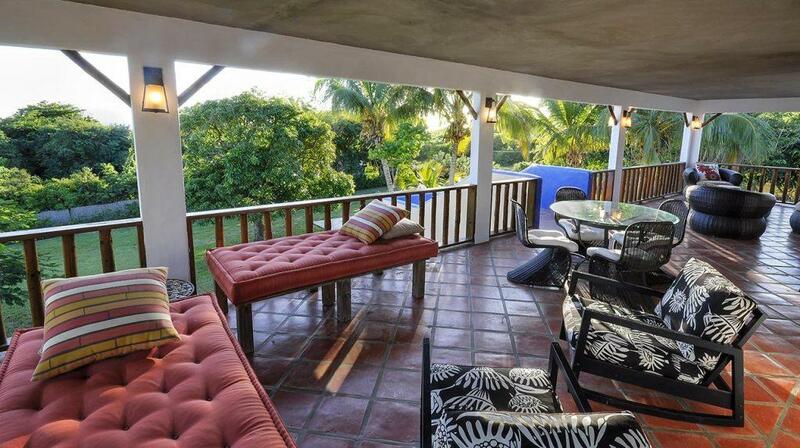 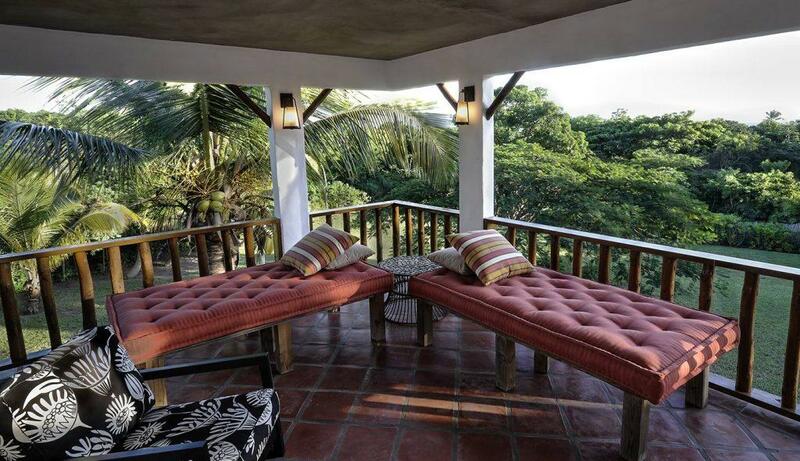 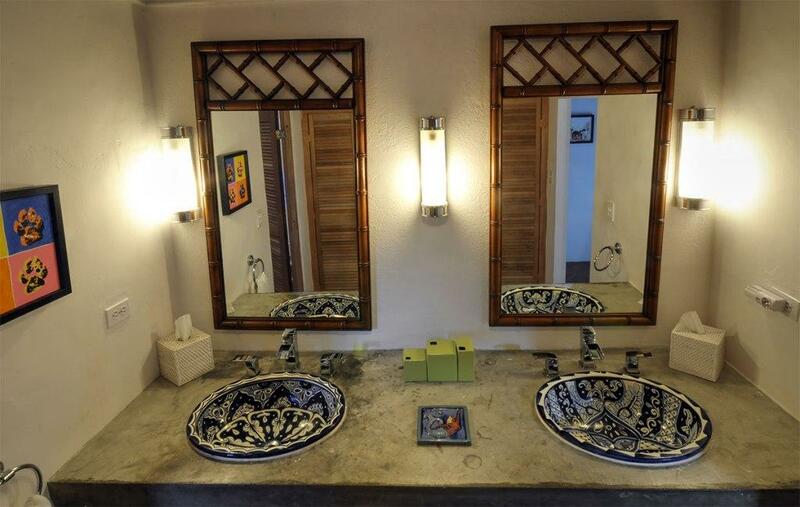 The whimsical and relaxed feel of the furnishing captures the spirit of Vieques. 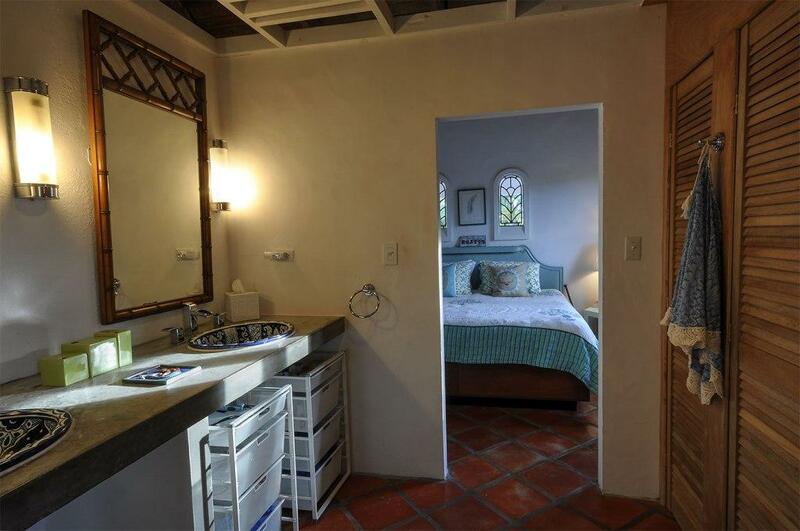 The large one bedroom space is reached via the open courtyard between the galleries and by a gracious outdoor stairway. 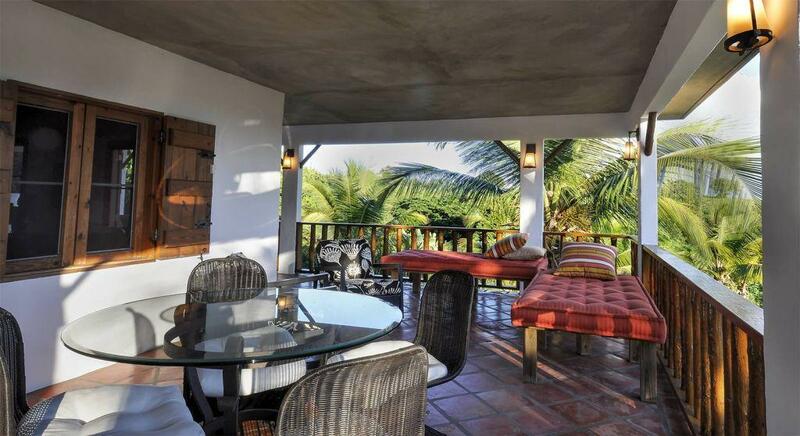 Once upstairs you are welcomed to the outdoor living areas with generous wrap around porches with countryside and ocean views. 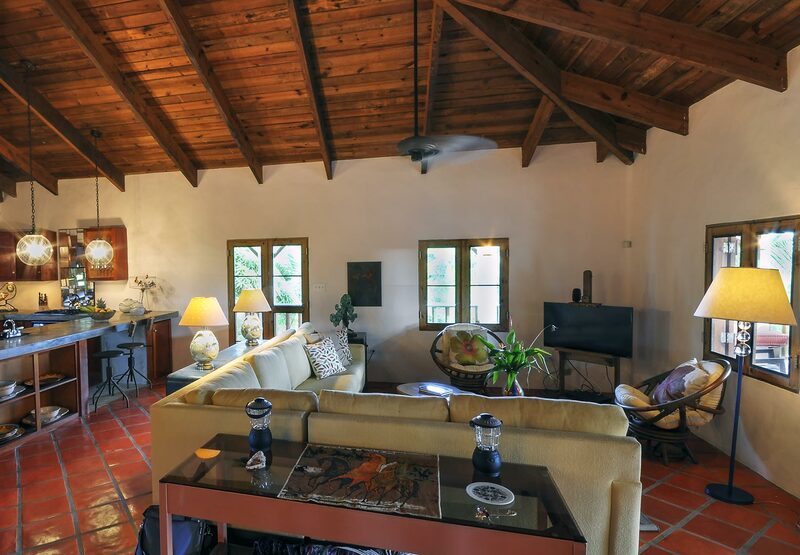 The house has a vaulted West Indies style roof expanding the space. 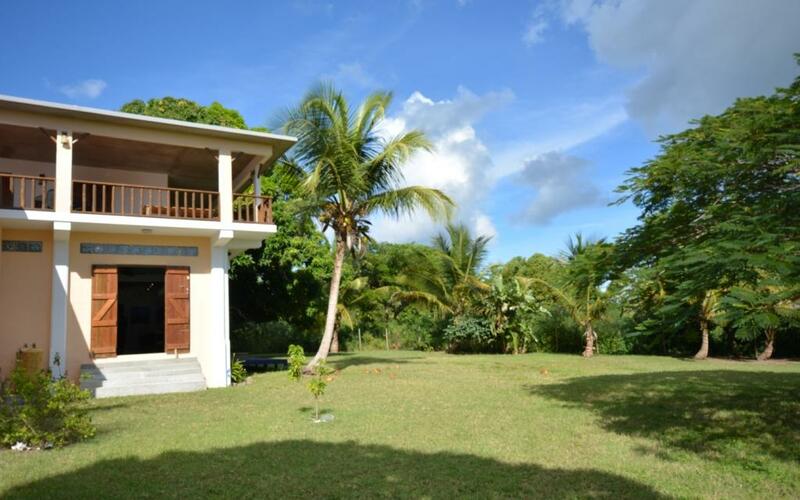 There is one bedroom with a generous bathroom en suite as well as a separate guest bathroom. 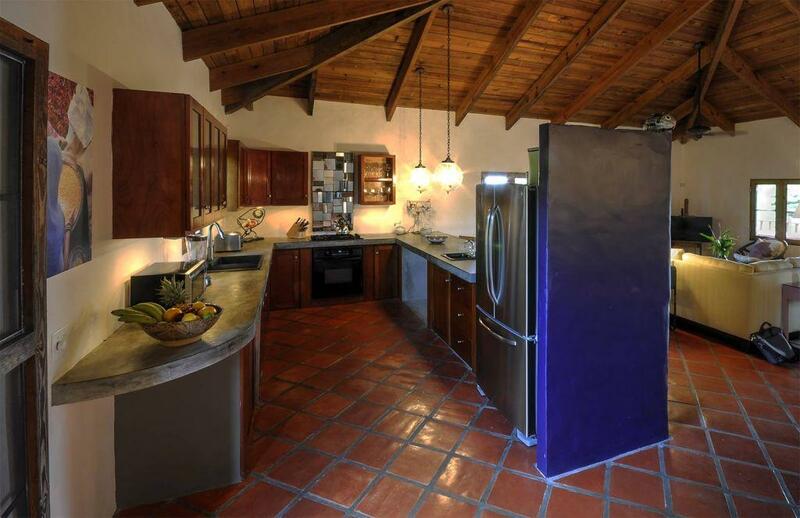 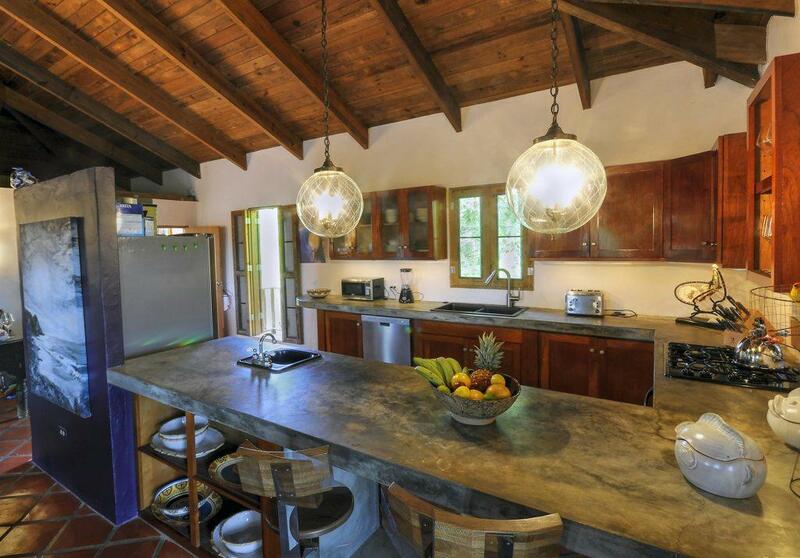 The kitchen is built in the Vieques Style with a mix of tropical hardwood cabinetry and polished concrete counter tops. 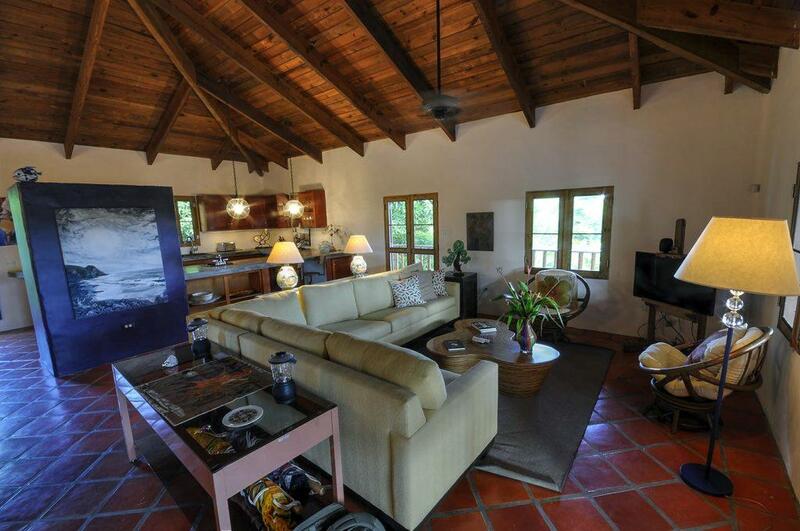 The large open living and dining room are the perfect entertaining spaces. 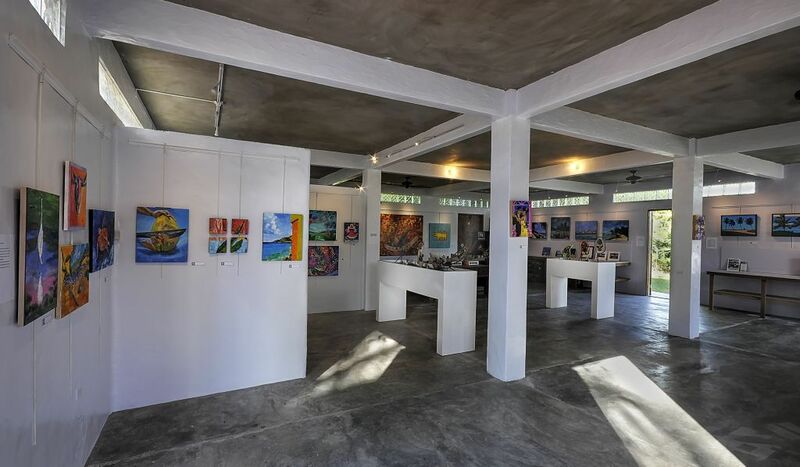 Gallery Galleon is well constructed with over 5000 square feet of space and offers an opportunity for you to dream big. 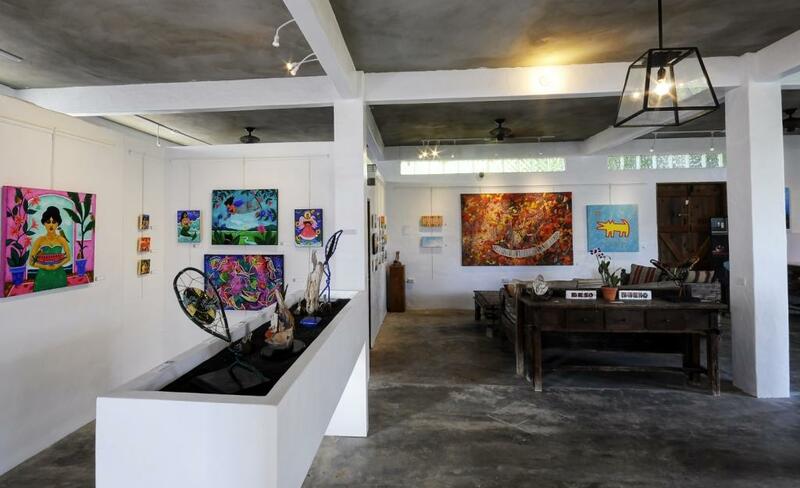 A brand new gas powered propane 12 KW generator runs the entire property including the art gallery, the office, the bunk room, the art studio/turned gallery and the Artpad apartment. 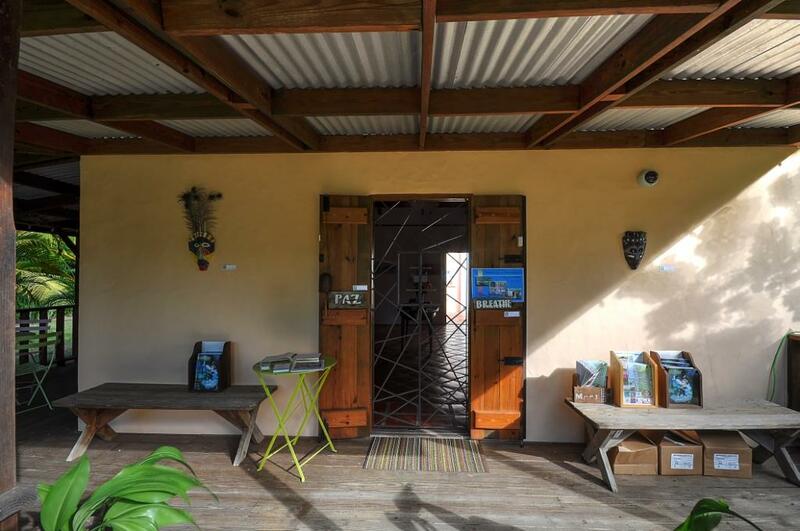 Along with the generator project an additional storage casita was built and used for gallery storage as well as personal items such as paddle boards, bicycles, and kayaks. 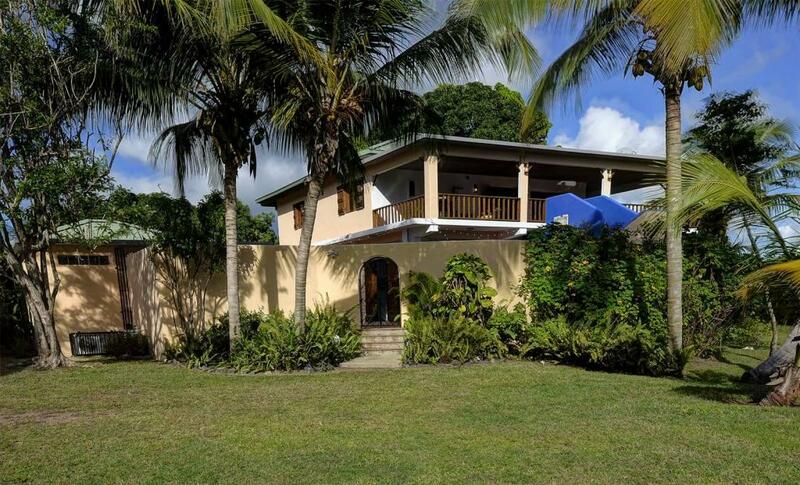 The property has a state of the art security system with cameras and managed by the Bravos Boyz Property Management team. 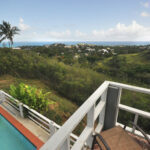 The entire property is serviced by satellite internet. 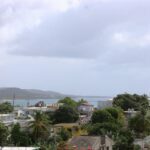 Additionally, there are mature producing coconut palms, Mango and Tamarindo trees as well as many blooming tropicals such as Hibiscus and Bouganvillea. 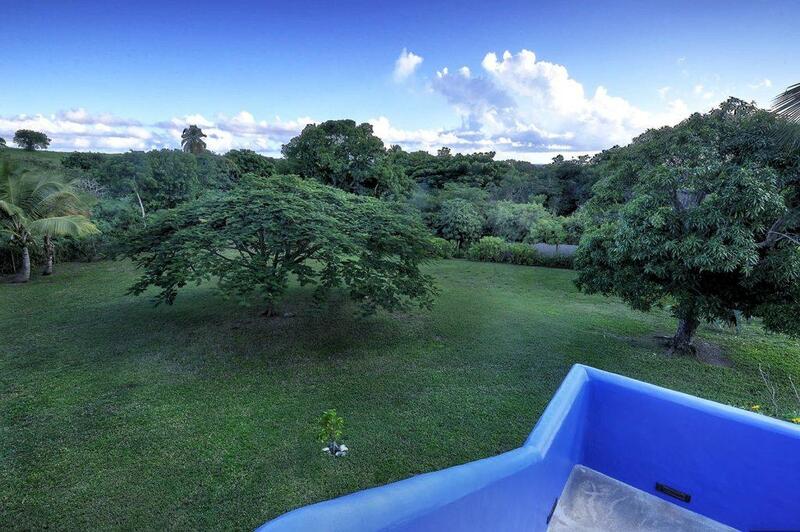 Offered separately is a rare 1.46 cuerda lot adjacent to Gallery Galleon for an additional $220,000. 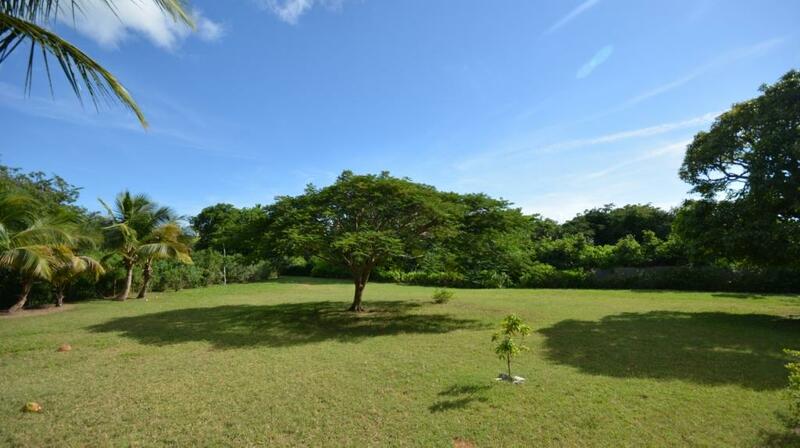 The addition of this lot would create an estate of approximately 2.46 cuerdas. 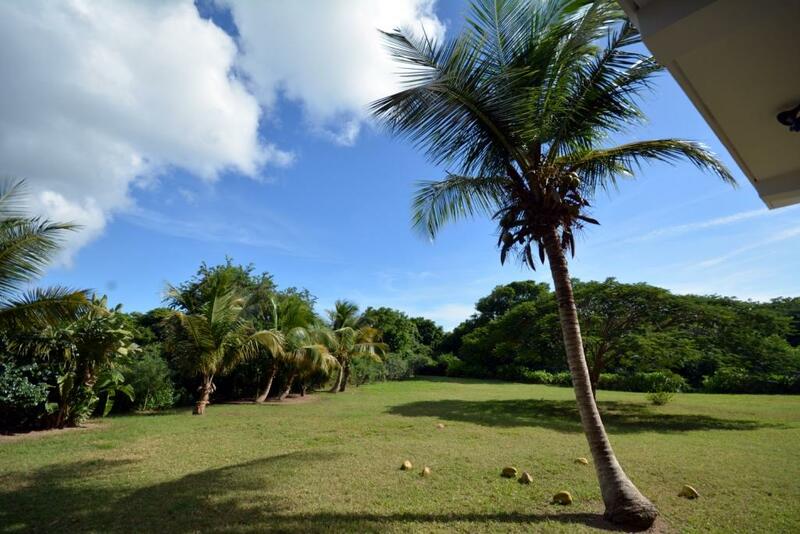 For your exclusive showing of this very special Vieques Island real estate call or email Bravos Boyz Real Estate and Property Management today.